The Waterway centre discharge E-Series pumps are designed especially for hot tubs and spas. Hi-performance Waterway wet ends are driven by quality E.M.G motors that by design, dissipate heat quicker and give lower running temperatures. Two speed E.M.G motors also benefit from split start and run capacitors to make them more energy efficient. 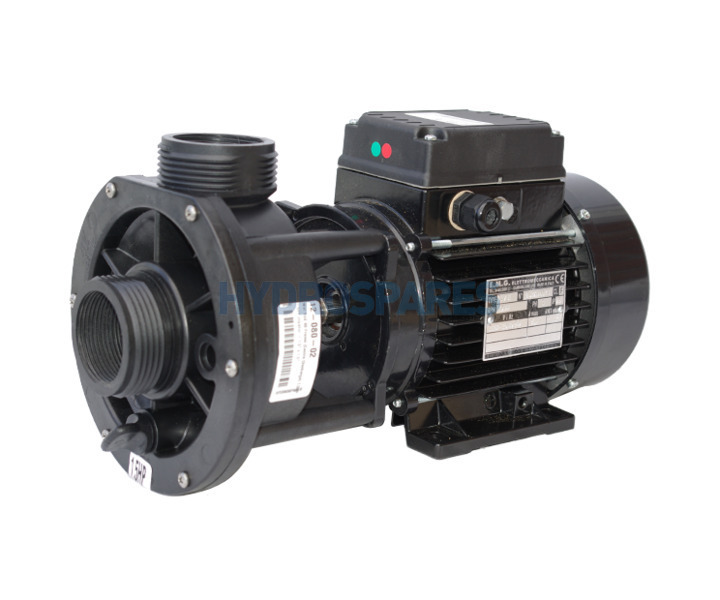 A 2 speed pump is commonly used as a low speed circulation pump and a hi speed booster pump.